The Holocaust Horror of Humanity, May God Forgive Us. The birthplace of the Jewish people is the Land of Israel (Eretz Israel). There, a significant part of the nation's long history was enacted, of which the first thousand years are recorded in the Bible; there, its cultural, religious and national identity was formed; and there, its physical presence has been maintained unbroken through the centuries, even after the majority was forced into exile. 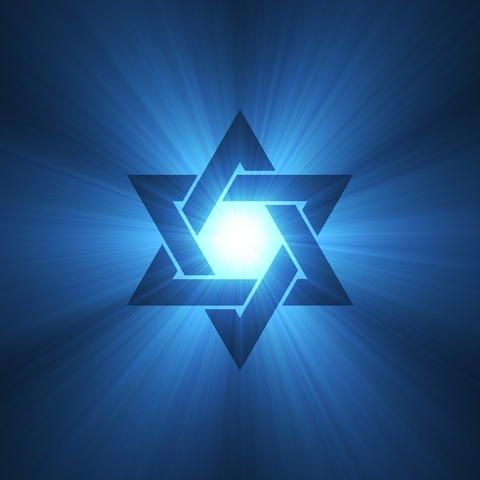 During the many years of dispersion, the Jewish people never severed nor forgot its bond with the Land of Israel. With the establishment of the State of Israel in 1948, Jewish independence, lost two thousand years earlier, was renewed. c. 17th century	The Patriarchs: Abraham, Isaac, Jacob - patriarchs of the Jewish People and bearers of a belief in one God - settle in the Land of Israel. c. 13th century	Exodus from Egypt: Moses leads Israelites from Egypt, followed by 40 years of wandering in the desert. The Torah, including the Ten Commandments, received at Mount Sinai. c. 1020	Jewish Monarchy established; Saul, first king. c. 1000	Jerusalem made capital of David's kingdom. c. 960	First Temple, the national and spiritual center of the Jewish People, built in Jerusalem by King Solomon. 722-720	Israel crushed by Assyrians; 10 tribes exiled (Ten Lost Tribes). 586	Judah conquered by Babylonia; Jerusalem and First Temple destroyed; most Jews exiled to Babylonia. 538-515	Many Jews return from Babylonia; Temple rebuilt. 332	Land conquered by Alexander the Great; Hellenistic rule. 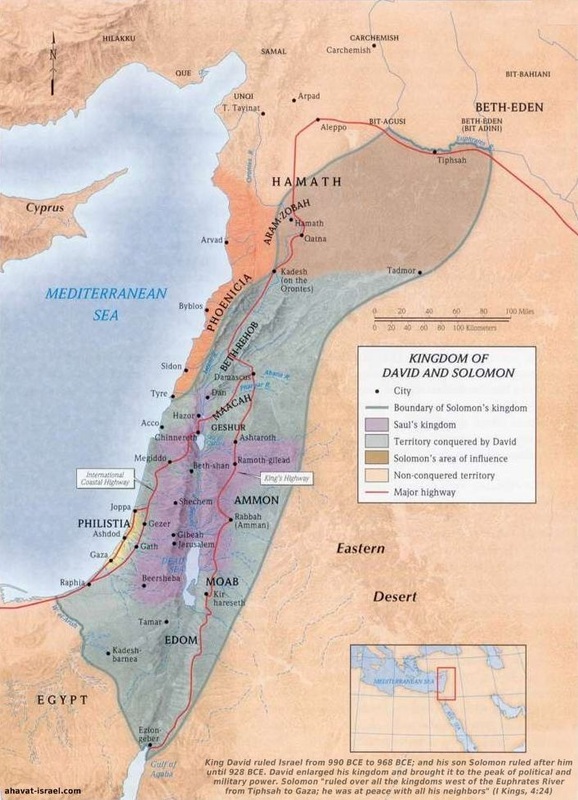 142-129	Jewish autonomy under Hasmoneans. 129-63	Jewish independence under Hasmonean monarchy. 63	Jerusalem captured by Roman general, Pompey. 70	Destruction of Jerusalem and Second Temple. 73	Last stand of Jews at Masada. 132-135	Bar Kokhba uprising against Rome. c. 210	Codification of Jewish oral law (Mishnah) completed. c. 390	Commentary on the Mishnah (Jerusalem Talmud) completed. 1564	Code of Jewish law (Shulhan Arukh) published. 1860	First neighborhood, Mishkenot Sha'ananim, built outside Jerusalem's walls. 1882-1903	First Aliya (large-scale immigration), mainly from Russia. 1897	First Zionist Congress convened in Basel, Switzerland; Zionist Organization founded. 1904-14	Second Aliya, mainly from Russia and Poland. 1909	First kibbutz, Degania, and first modern all-Jewish city, Tel Aviv, founded. 1917	400 years of Ottoman rule ended by British conquest; British Foreign Minister Balfour pledges support for establishment of a "Jewish national home in Palestine". 1920	Histadrut (Jewish labor federation) and Haganah (Jewish defense organization) founded. Vaad Leumi (National Council) set up by Jewish community (yishuv) to conduct its affairs. 1921	First moshav, Nahalal, founded. 1922	Britain granted Mandate for Palestine (Land of Israel) by League of Nations; Transjordan (later Jordan) set up on three-fourths of Palestine, leaving one-fourth of Palestine for the Jewish national home. 1924	Technion, first institute of technology, founded in Haifa. 1924-32	Fourth Aliya, mainly from Poland. 1925	Hebrew University of Jerusalem opened on Mt. Scopus. 1929	Hebron Jews massacred by Arab militants. 1931	Etzel, Jewish underground organization, founded. 1933-39	Fifth Aliya, mainly from Germany. 1936-39	Anti-Jewish riots instigated by Arab militants. 1939	Jewish immigration severely limited by British White Paper. 1939-45	World War II; Holocaust in Europe. 1941	Lehi underground movement formed; Palmach, strike force of Haganah, set up. 1944	Jewish Brigade formed as part of British forces. 1947	UN proposes the establishment of Arab and Jewish states in the Land. 1949	Armistice agreements signed with Egypt, Jordan, Syria, Lebanon. Jerusalem divided under Israeli and Jordanian rule. 1948-52	Mass immigration from Europe and Arab countries. 1967	Six-Day War, Jerusalem reunited. 1975	Israel becomes an associate member of the European Common Market. 1981	Israel Air Force destroys Iraqi nuclear reactor just before it is to become operative. 1982	Israel's three-stage withdrawal from Sinai completed. Operation Peace for Galilee removes PLO terrorists from Lebanon. 1984	Operation Moses, immigration of Jews from Ethiopia. 1985	Free Trade Agreement signed with United States. 1987	Widespread violence (intifada) starts in Israeli-administered areas. 1989	Start of mass immigration of Jews from former Soviet Union. 1991	Israel attacked by Iraqi Scud missiles during Gulf war. 1996	Fundamentalist Arab terrorism against Israel escalates. 1998	Israel celebrates its 50th anniversary.